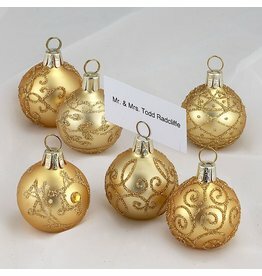 Gold Ball Place Card Holder with Blank Cards. Set of 6 box set. Size: 40mm (1.5 inch diameter). Tabletop Tableware Place Card Holder Collections by Kurt Adler. Medium Size: 16.5 inches. Mark Roberts Elves Limited Edition Christmas Collection. 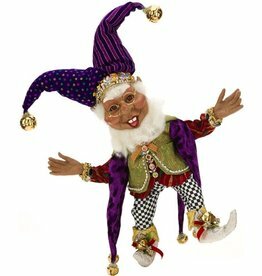 Flexible, Pose-able, Christmas Elf Doll Figurines. 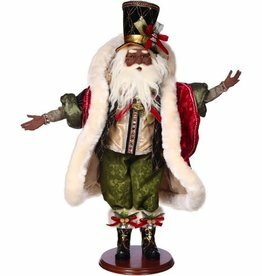 African American - Black Christmas Decorations and Holiday Decor Collections by Mark Roberts. 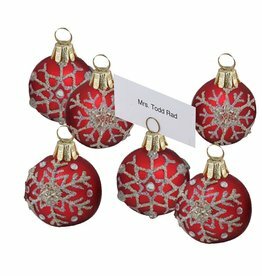 Christmas Place Card Holder 6pc Red withSnowflakes. Size: 1.5 inches. Christmas Ornaments Decorations and Themed Holiday Decor by Kurt S. Adler. 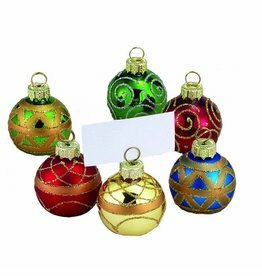 Multi Colored Ball Ornaments Place Card Holders with Blank Cards. Set of 6 box set. Size: 40mm (1.5 inch diameter). Tabletop Tableware Place Card Holder Collections by Kurt Adler.